​In a study conducted by the A to Z Health Guide in 2004 the magazine called exercise: "one of the closest things to a magic bullet that modern health care has to offer." Of course any type of physical activity will improve your health and well being -- but some types of exercise are better than others. Let’s look at why a lot of physiologists and psychologists view martial arts as the best type of exercise you can get. First, we need to dispel the myth that martial arts classes are just for kids. In fact, according to the Sporting Goods Manufacturers Association, more than one-third of martial arts students are adults. The reality is that martial arts is great for both children and adults - 20-somethings as well as the elderly. And, no matter what discipline of martial arts you choose, whether taekwondo, karate, jujitsu, Wing Tsjun or some other form, the benefits remain the same. Martial arts is a high-aerobic workout that uses every muscle group in the body. Your stamina, muscle tone, flexibility, balance and strength will all all improve through martial arts. In martial arts you get to kick, punch and scream, which is a great stress release no matter what your age. But, in addition, the ancient practices of martial arts have a calming affect that melts the stress away. 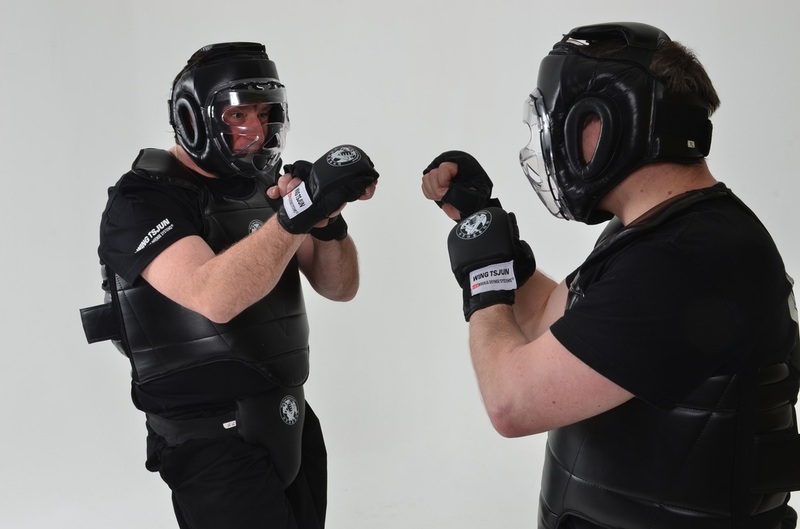 Unlike any other form of exercise, with martial arts you learn potentially life-saving self-defense skills at the same time you are getting in shape. This reason tops the list. Due the goal setting, positive encouragement and respect for values that are part of all martial arts programs, the greatest benefit usually reported by martial arts students is greater self confidence. You become more comfortable in all situations – whether you’re in danger or simply doing a task that takes you beyond your comfort zone - and you’ll discover you can accomplish anything you set your mind to. So, those are the top five reasons why martial arts is the best fitness program for adults. If you are concerned that martial arts places a great amount of emphasis on sparring or fighting, you don’t have to worry. Martial arts places little to no emphasis on violence, and rather stresses the importance of discipline and respect. Instead of competition against others, the focus of martial arts tends to be competition with one’s self. Since respect is a huge aspect of martial arts, heckling and name calling is discouraged, rendering this a great option for anyone insecure about his or her current level of fitness who would like improve their body image and health. When participating as a family, martial arts provide a unique opportunity for sharing in a non-competitive fun activity. Plus, parents have the opportunity to reinforce at home the life lessons taught in class. Martial arts isn’t for everybody - but it might be right for you. To learn specifically more about Wing Tsjun classes and to determine if it's the right physical activity for you, please contact us and we'll be happy to answer any questions you may have. Wing Tsjun is fun! And yes, laughing during classes is allowed! Test your skills in friendly and safe sparring - only if you like!